Thanks to all those who turned out on a beautiful day for the Aonach Mor Uphill Running Race (April). The weather turned out well for the 56 runners who completed the uphill course climbing around 500 metres over 5km. 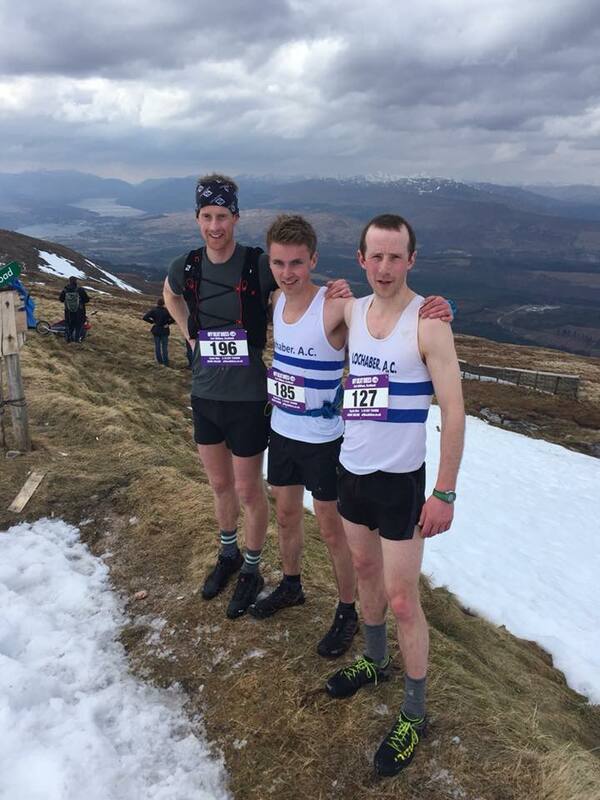 Ewan Thorburn (Lochaber Athletic Club) retained his title by finishing 1st over the line in a time of 27 minutes and 46 seconds, in front of team mate John Yells and visiting athlete Ricky Lightfoot, from the Lake District. First lady home was the Lisette Walker in 38 minutes and 26 seconds also racing for Lochaber Athletic Club. Karen Lyon from Highland Hill Runners was 2nd lady and also 1st Lady Veteran and Victoria Leiper from Sheckleston 3rd. Special prizes were awarded to the 8 runners who completed both the new Fort William Park Run (5km) in the morning followed by the 5km Uphill Race in the afternoon. Well done to all those who helped to make this race a success including Nevis Range who provided free gondola return to the bottom station for all the competitors, Marshals John and Pat Henderson along with Robert and Isla Cant. Thanks also to Tom Mcnally from Hoka who brought trainers for runners to try. The next Uphill Running Race is on the 9th June 2018 at Glencoe Ski Centre. Read more about the next uphill race by clicking here. See more events in and around Lochaber here.